SANTA MONICA — Universal Production Music and sister company Killer Tracks, two of the world’s leading production music brands, have partnered with Abbey Road Studios to launch a new production music catalog, Abbey Road Masters. Abbey Road Masters will create and curate original music, all of which will be recorded, mixed and mastered at the iconic Abbey Road Studios and adhere to the studios exceptionally high recording standards. The initial slate of releases include Indie Soundtrack, Contemporary Score, Alternative Pop Voices, Indie Rock Noir, The Fantasy Orchestra and Cinematic Piano. 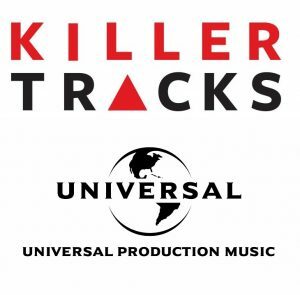 All tracks are available immediately for licensing exclusively through Killer Tracks in the USA and Canada and Universal Production Music in the rest of the world. “We are walking in the footsteps of all the great recordings and soundtracks produced at Abbey Road and are committed to the exceptional quality of music that is the standard here,” said Ross Sellwood who is overseeing the Abbey Road Masters project through his role as Managing Director of Universal Globe’s Soundtrack & Score division. With live recording at the heart of all its releases, Abbey Road Masters has forged relationships with top composers, musicians and artists including award-winning British film and television composers Michael Price (Sherlock), Rob Lane (John Adams), Samuel Sim (Emma) and Christian Henson (Black Death), alongside British indie legends Andy Bell (Ride/Oasis) and Tom Furse (The Horrors). “Creating outstanding music for film and television is such an important part of the Abbey Road story and we are delighted to be working with Ross to develop the Abbey Road Masters catalog with our shared commitment to authenticity and quality,” said Isabel Garvey, Managing Director, Abbey Road Studios. Abbey Road Masters has access to all of Abbey Road Studios’ recording facilities. Studio One, the world’s largest purpose-built recording studio, was home to 75 musicians over two days for the recording of The Fantasy Orchestra album. Other albums were recorded in the legendary Studio Two and Three, sites of historic recordings by the Beatles and Pink Floyd and recent releases by Brockhampton, Lady Gaga and The 1975. 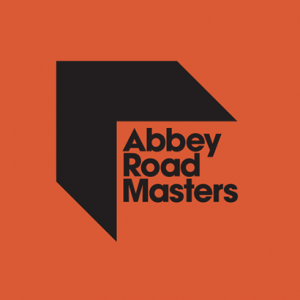 Abbey Road Masters have finished recording material for a further six albums which are based on themes including vintage synths and string ensembles, sampling and remixing live players, large-scale cinematic indie and close-up acoustic recordings – to be released in 2019. Universal Production Music, a division of Universal Music Publishing Group and Universal Music Group, is the world’s leading production music company. Home to an award-winning catalog spanning all genres, moods, emotions and project types, UPPM creates, produces and licenses music for use in film, television, advertising, broadcast and other media.